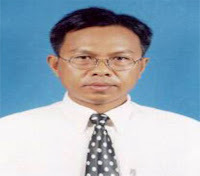 In 1991, Mr. Cheam Mony graduated with a Master of Science of Economics and Agricultural Management from High Institute of Economy in Sofia, Bulgaria. He began his career since 1992 in several agencies such as GTZ, WWF, NGO Forum, UNDP, and NCDD involving in rural development, natural resource management and environmental protection programs, and democratic development. From these involvements, he has various practical experiences in social services, policy and strategy dialogues and development, program planning, project management, monitoring and evaluation, good governance, democratic development, and capacity development for sub national administration. Currently, Mony is serving as Senior Project Officer at Cambodian Civil Society Partnership (CCSP).